Milo is turning 8 this year, and he wanted an emoji themed party! I created this invite a few weeks prior to the day. We had 22 kids come play broomball at the local skating rink. I made cake and cupcakes, and the goodie bags had emoji pez, plush emoji keychains and emoji fruit snacks packaged in a little yellow bag. The party was chaos, but the kids had alot of fun! Instead of party hats, I made all the kids superhero masks using this pattern. They also doubled as a party favor….All you need is some felt, hot glue, a sewing machine and some thin elastic. Felt is in credibly inexpesnive, and I was able to fit three masks on one sheet. I purchased about a yard of elastic on etsy. I didn’t do them double sided, like she did in the pattern; I just used hot glue to affix the different colors and used my sewing machine to sew on the elastic. These were great for all ages – we had babies wearing them, all the way to teenage brothers and parents! 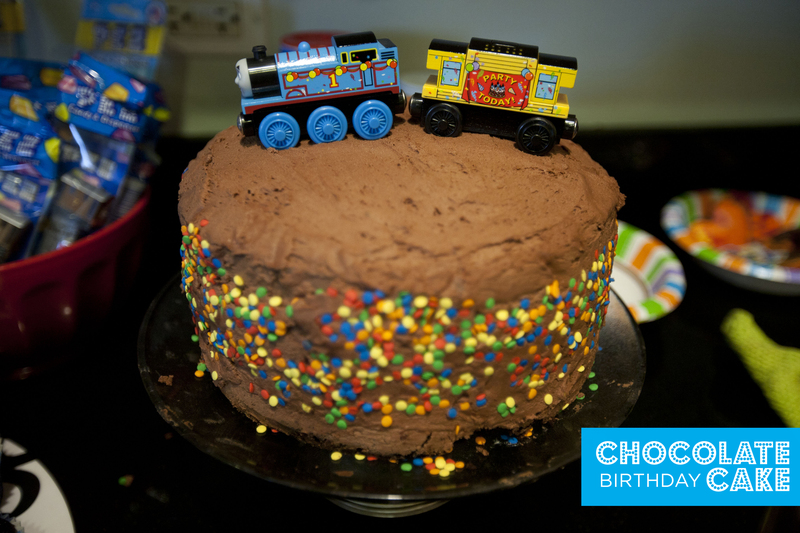 I made milo’s birthday cake for his thomas party. Milo really wanted a cake. Chocolate. With sprinkles, thomas on top and fire (candles) on top. I used the chocolate cupcake recipe from vegan cupcakes take over the world. I wasn’t sure how this would turn out in cake form. I made it three layers, and did one recipe per layer. Its best to make one recipe at a time, rather than triple it, by the way. And I just set the timer for 20 minutes and watched it from there. Each layer needed about an extra 6 minutes or so too bake. This turned out really really good. Just as good as the bakery cake I would have ordered and paid ALOT of money for. 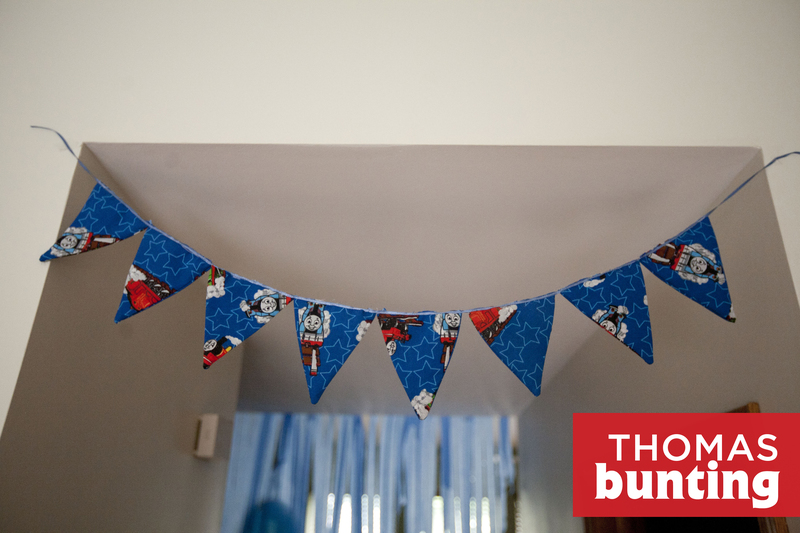 Made some quick bunting out of milo’s old crib sheets for his thomas birthday party.